Yup, poor lovebug just dies when the internet is slow. 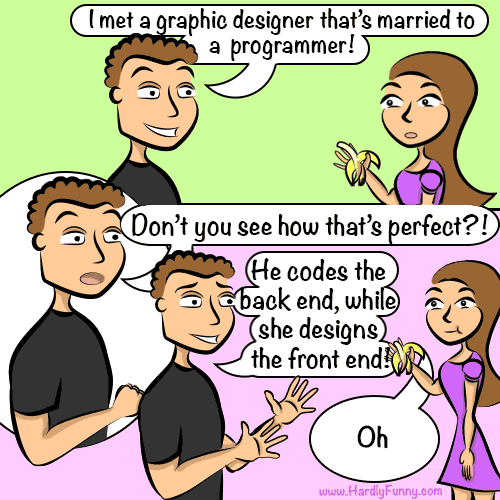 At least it taught me what a facepalm is. I didn’t know he has to title actions now. Must be a Reddit thing. 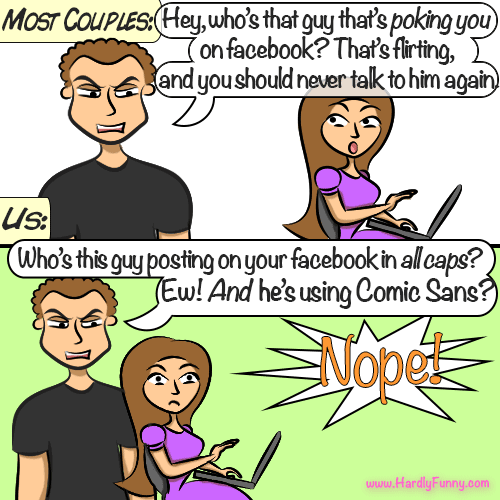 Some things aren’t tolerated by computer programmers, such as people who type in all capitals and people who use Comic Sans font. It’s kind of like saying, “Look at me, I’m a douchebag.” It makes my Lovebug yell, “Nope!” which is something else unique about his kind…. 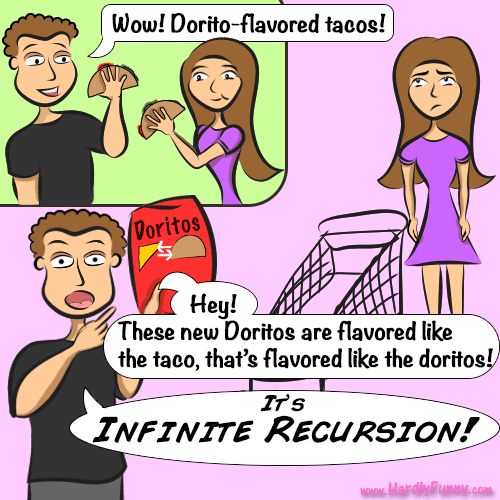 My programmer of a husband said this one time as we drove past a field, while on a road trip. 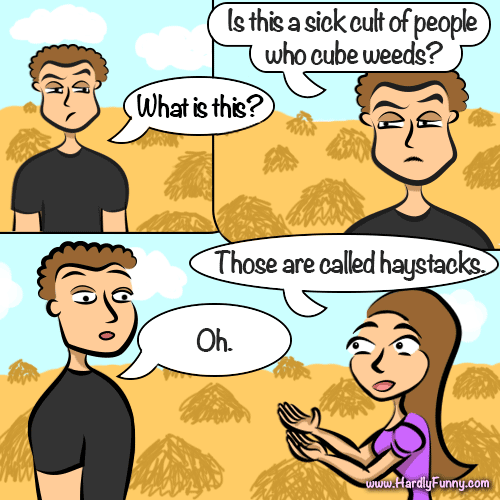 He doesn’t get out much, and I guess that he doesn’t see a lot of haystacks online. He’s so weird. I would know; I’m pretty weird myself. Randall bought me a Steam account after we got married. I use it mostly to play Left 4 Dead, a fun, easy, zombie crazy, first person shooter game. I’m not very good at most other games on Steam. 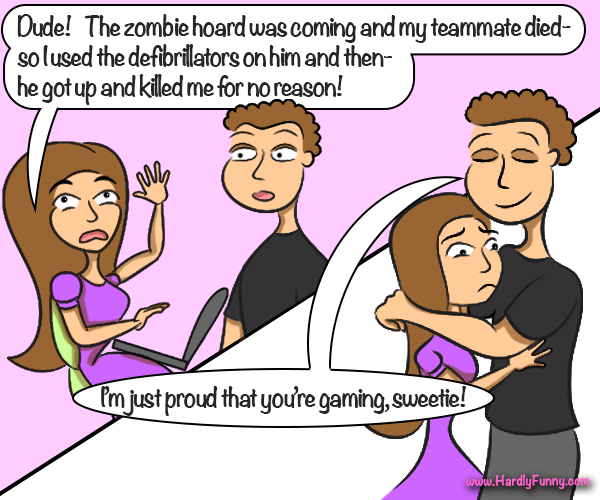 You have to get through a zombie ridden level of play with three strangers online as teammates. This requires teamwork, communication and smart decision making to ensure team survival, just like a real zombie apocalypse! Sometimes I get really into it, (you get a lot of chances to try and win), but everything can be ruined when other online gamers act stupid or fail.